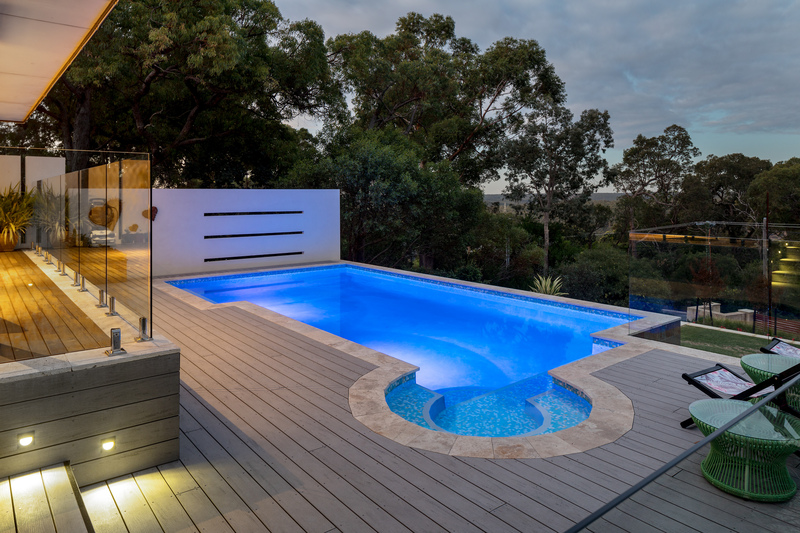 As part of extensive home renovations, we designed a geometric pool that would be a focal point and viewed from multiple areas within the home, whilst still integrating seamlessly with our client’s contemporary style. 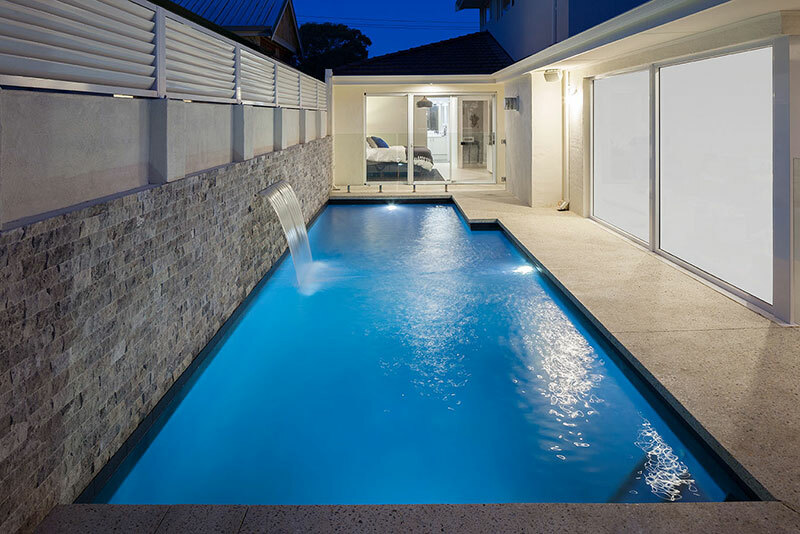 A feature wall was constructed with a 1200mm water-blade creating a stunning feature deliberately centered to the family room window. 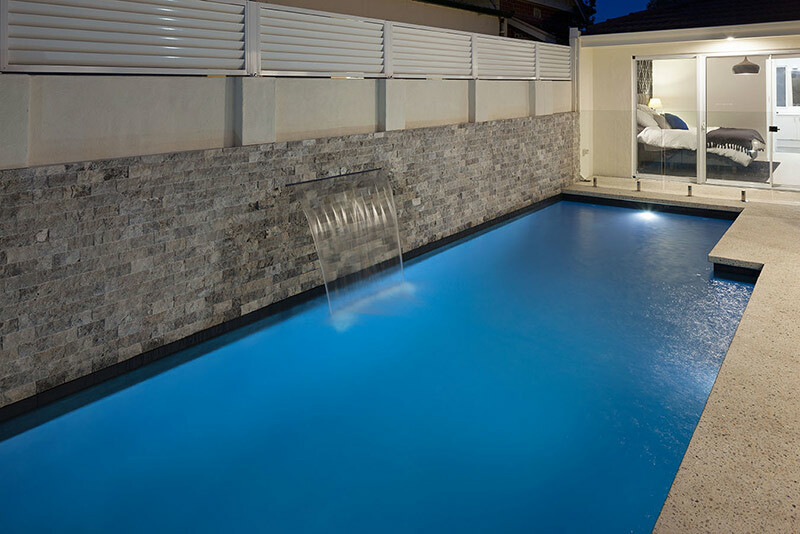 18sqms of individual natural stone cladding was meticulously applied to the feature wall which are in stark contrast to the black lappato 600x300mm waterline tile. 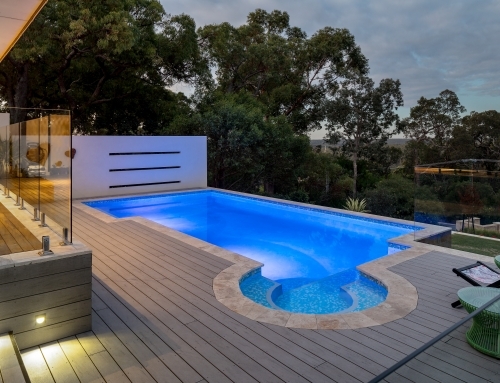 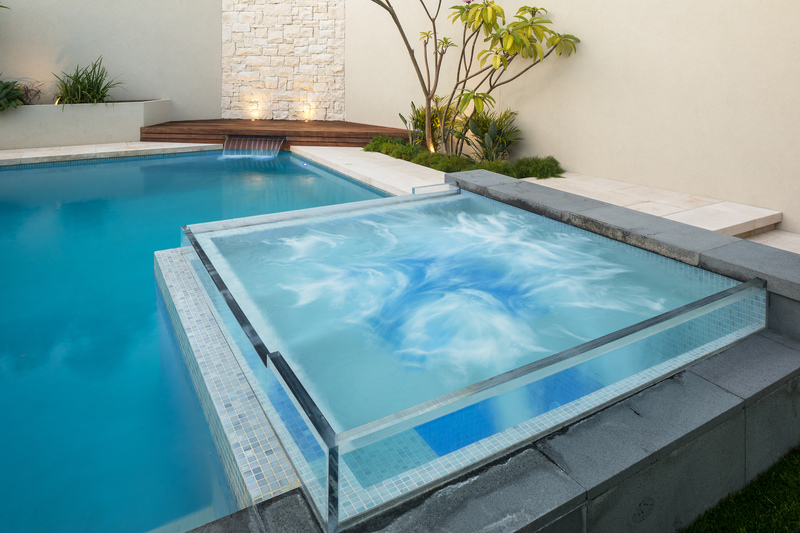 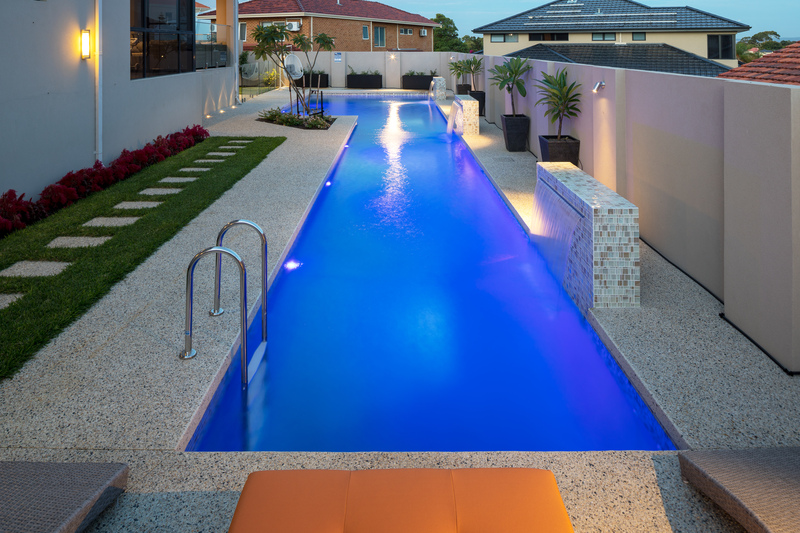 With a deep end exceeding 2.15m, the pool is the perfect fit for this client’s energetic family, allowing for long summer days spent jumping in and cooling off. 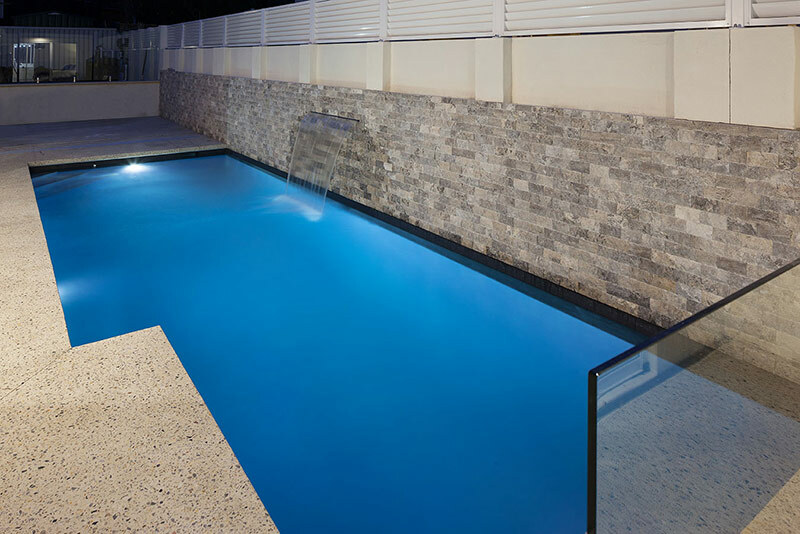 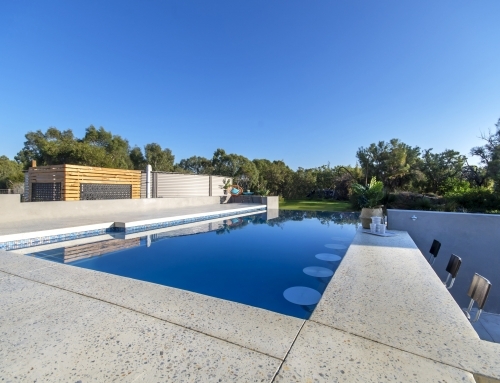 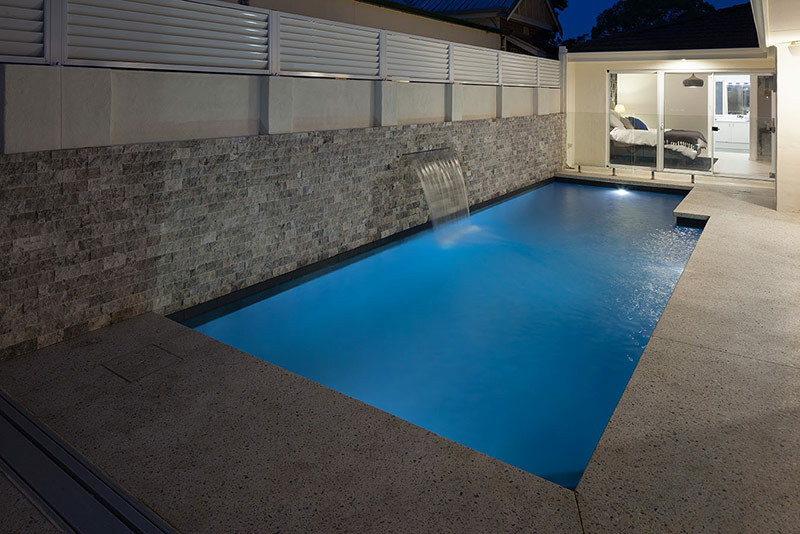 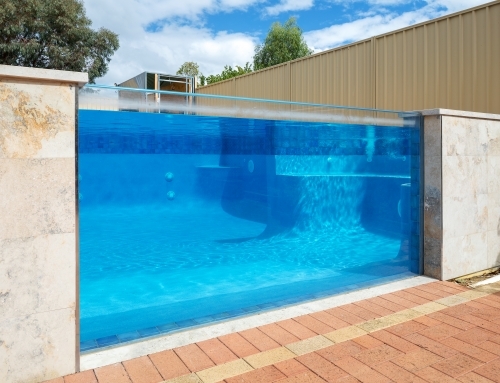 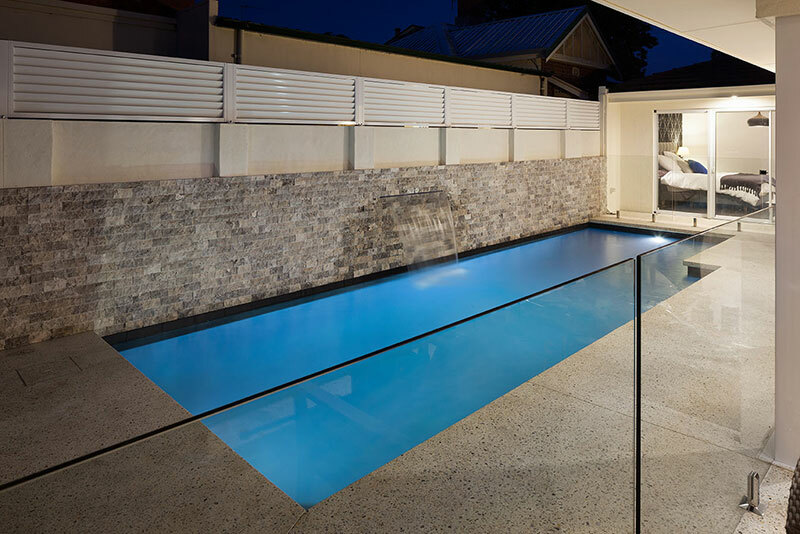 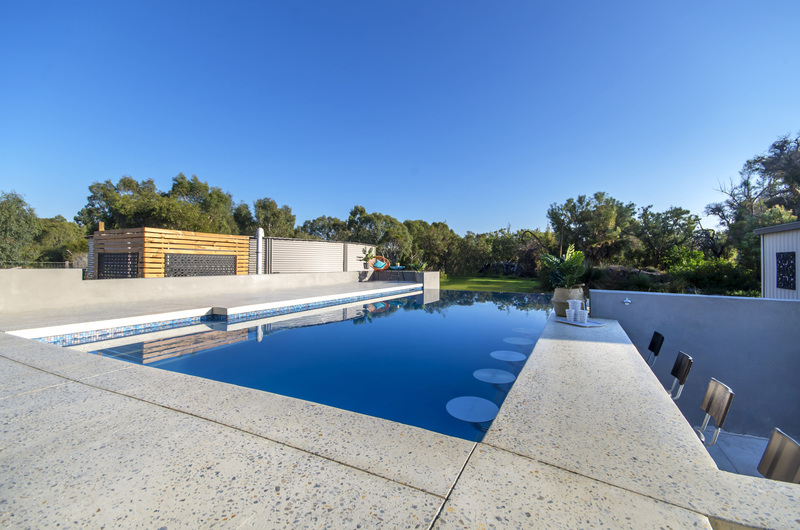 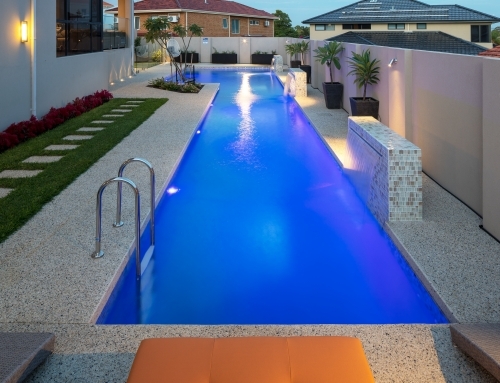 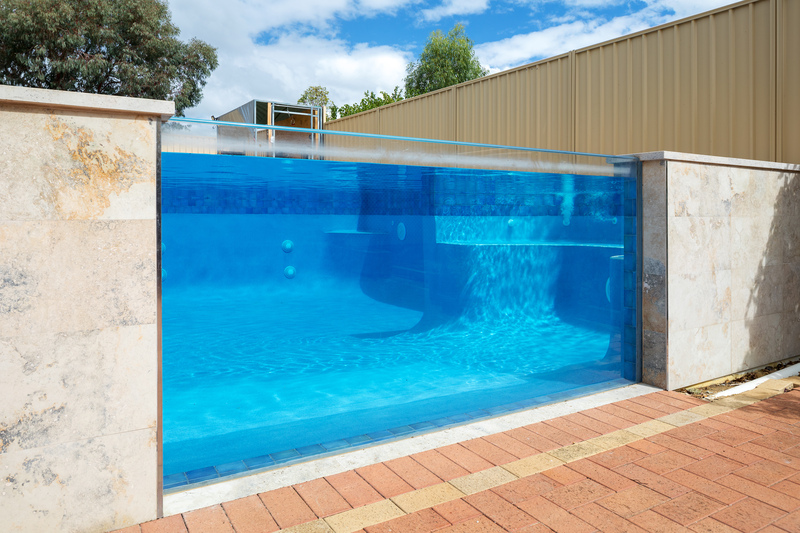 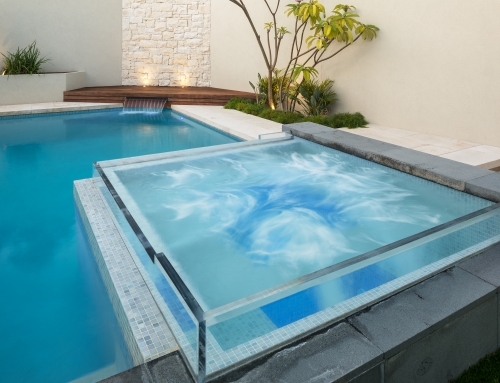 A large capacity heat pump provides warm water for an extended season whilst an in-ground blanket box conceals the pool cover within an expanse of decorative honed aggregate.